​Can Google Cloud gain enterprise acceptance? SAP offers seal of enterprise approval as big name customers come on board. Google has staked its claim as a serious cloud contender across the enterprise, backed up by an expansive list of heavy hitting customers migrating to the skies. In a bid to gain a voice along the corporation corridors of power, the tech giant revealed a host of multinational wins at its Google Cloud Next ’17 conference in San Francisco, alongside an applications partnership with SAP. With over 10,000 customers and partners cramming into the Moscone Center, the annual gathering offered Google the opportunity to flex its big business muscles on the global stage. If one word best summarised the opening monologues on day one, it wasn’t so much cloud, rather enterprise, reflecting the vendor’s bold ambitions to become a serious big-game player. And that was always going to be the key play - securing acceptance in a market dominated by Amazon Web Services (AWS), with Microsoft Azure in hot pursuit. 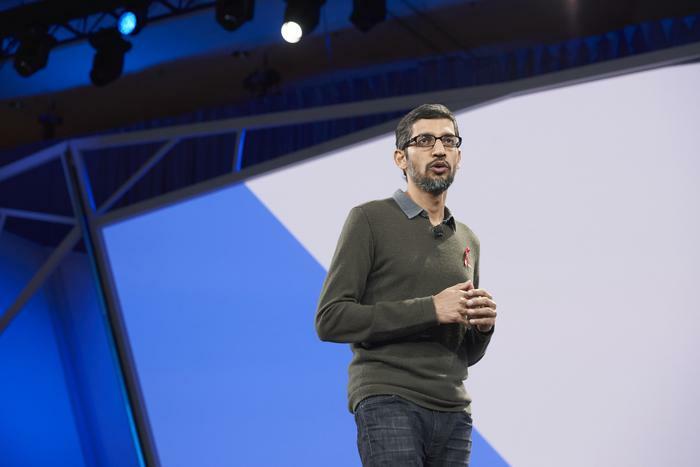 To enter the conversation, Google CEO, Sundar Pichai, stepped back, gracing the stage for five minutes maximum, before shining the spotlight on enterprise customers pursuing cloud-first agendas through the vendor. For the Golden City played host to a golden line-up of end-users, including HSBC, Verizon, Home Depot, eBay, Disney and Colgate-Palmolive among many. Bolstered by its partnership with SAP, the two-hour opening keynote was dominated by customer success stories and tales of fast-paced deployments. 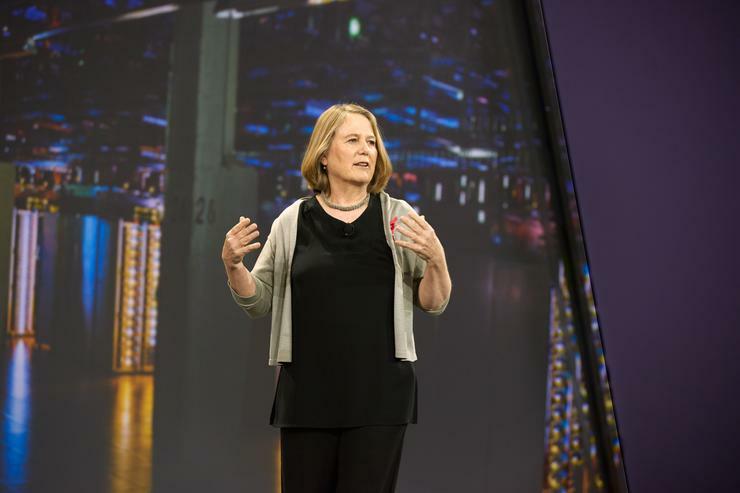 “The cloud with the best technology is the best cloud,” Google Cloud Senior Vice President, Diane Greene, said. Built by over 500 engineers, Greene said Google Cloud is now reaching customers across financial services, health, retail, media, energy and manufacturing, representing opportunities for specialist partners in the channel. Headlined by HSBC, one of the world’s largest banking and financial services organisations gave Google Cloud the green light, adding much needed credibility in a competitive market. Today the bank houses over 93 petabytes of data, created by more than 4,500 branches and over 37 million customers across 70 countries worldwide. Now, Google Cloud has gravitas. But the vendor didn’t stop there, intent on hammering home its enterprise credentials through Verizon, who allegedly shifted away from Office 365 and onto G Suite. With the product set rolled out to over 150,000 employees, the corporation with over 114 million retail customers added further weight to Google’s cloud claims. Likewise Colgate-Palmolive, who migrated 23,000 users to G Suite during a weekend, before eventually taking 28,000 users to Google Cloud within six months. Collectively, the customer case studies showcased Google Cloud in a new light, a light favourable with CIOs open to increasing cloud investments during the next 12 months, and partners keen to align with leading cloud providers. In a not so subtle dig at AWS following its recent S3 outage, Greene also alluded to the importance of partnering with a cloud provider capable of maintaining availability. “Take Google Search, it runs at five nines of availability,” Greene added. “That’s how we’ve designed our cloud and it’s easy for our customers to design and build off this capability, it’s distributed with no single point of failure. But despite the mix of facts, customer line-ups and corporate propaganda, it’s worth noting that Google Cloud was only recognised as an official business unit in September 2016. And though it has a promising future planned out, it still remains a minimal contributor to performance within Alphabet’s broad portfolio. Executives on a recent Alphabet earnings call did however highlight the progress made by the cloud unit in 2016, reporting that G Suite - the new brand for Google Apps - boasts over three million paying businesses. Moreover, the rapid innovation within the Google Cloud Platform (GCP) portfolio throughout 2016 has positioned the business on an upswing, ready for accelerated growth in 2017. And in San Francisco, Google demonstrated this growth, casting doubt on claims that public cloud will be dominated by a two-horse race. The optimists will no doubt point to increased market potential, while the skeptics will offer a harsh reality check. Because even the most ardent of Google Cloud supporter or partner must acknowledge that the vendor is up against formidable cloud competitors in AWS, Microsoft Azure and IBM Bluemix, and only holds a single digit share in the global public cloud market.